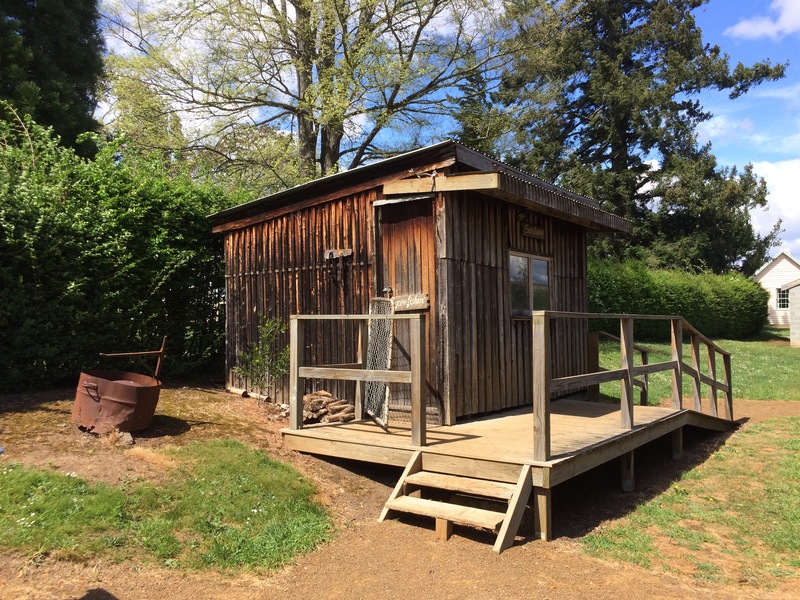 “Salmon Ponds” is a heritage hatchery set in beautiful grounds. 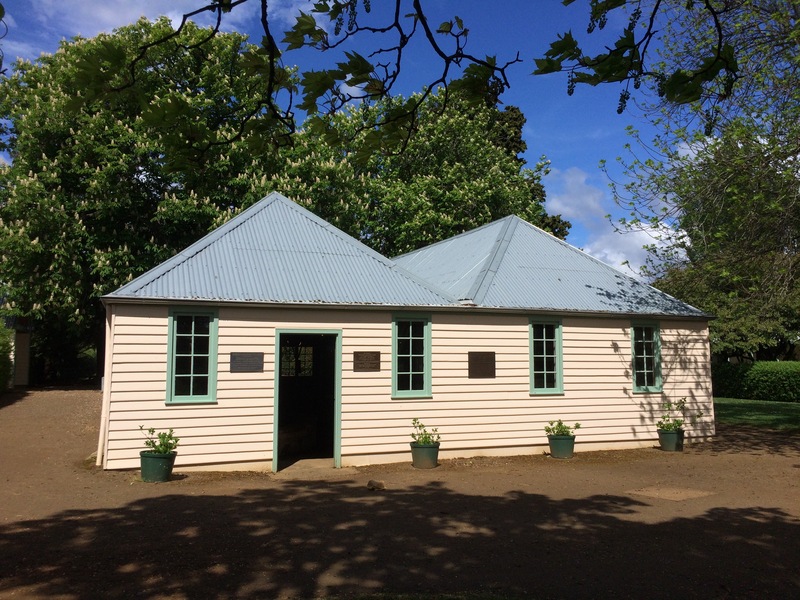 It is the oldest hatchery in the southern hemisphere. We enjoyed a walk around on a sunny spring day. The gardens contain over fifty varieties of native and European trees. They are all clearly labelled and are noted on an information sheet map, along with pictures and leaf shapes of each tree type. 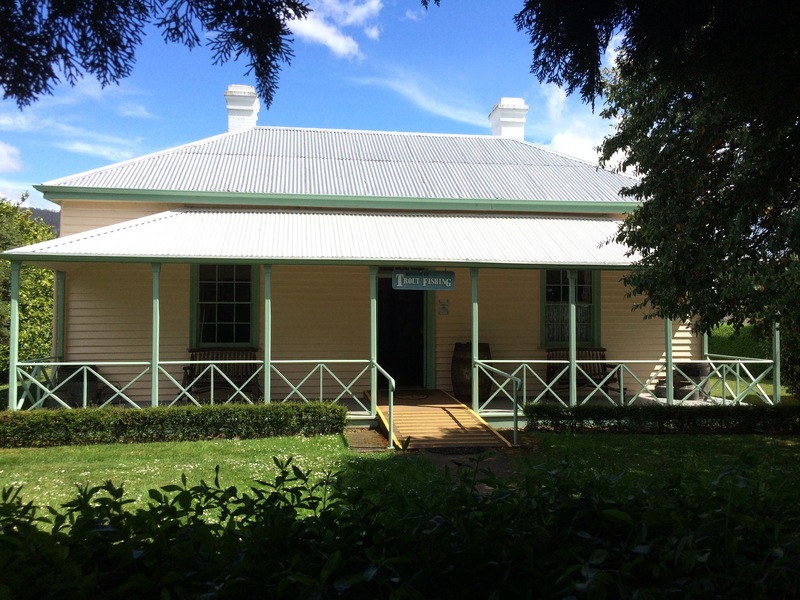 Original buildings are dotted around the grounds. 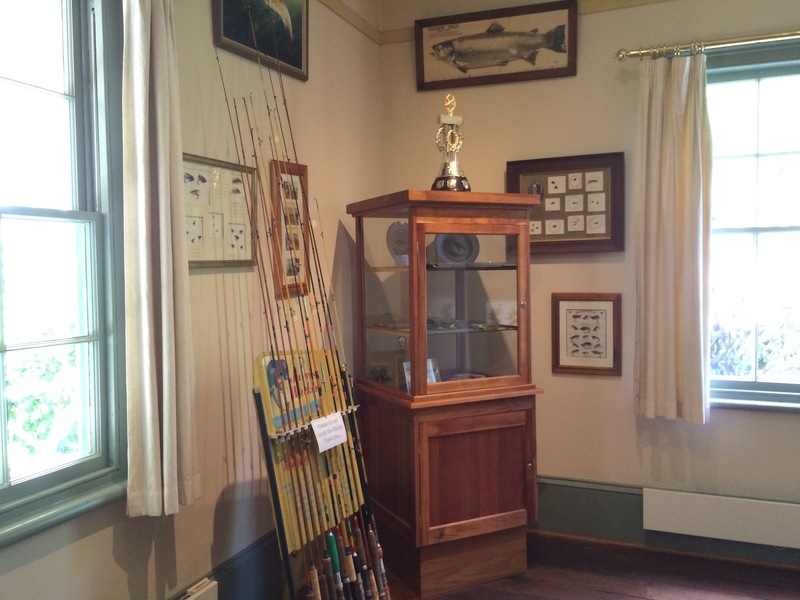 Several heritage buildings explain the challenge of bringing salmon and trout from Britain to Tasmania, the life cycle of the fish and history of trout fishing. 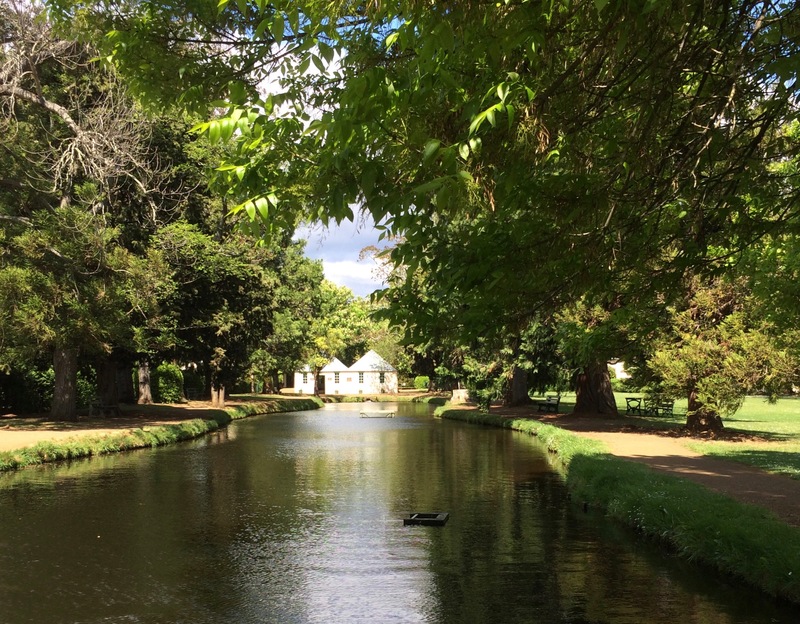 The grounds run along side the River Plenty, home to trout and platypus. 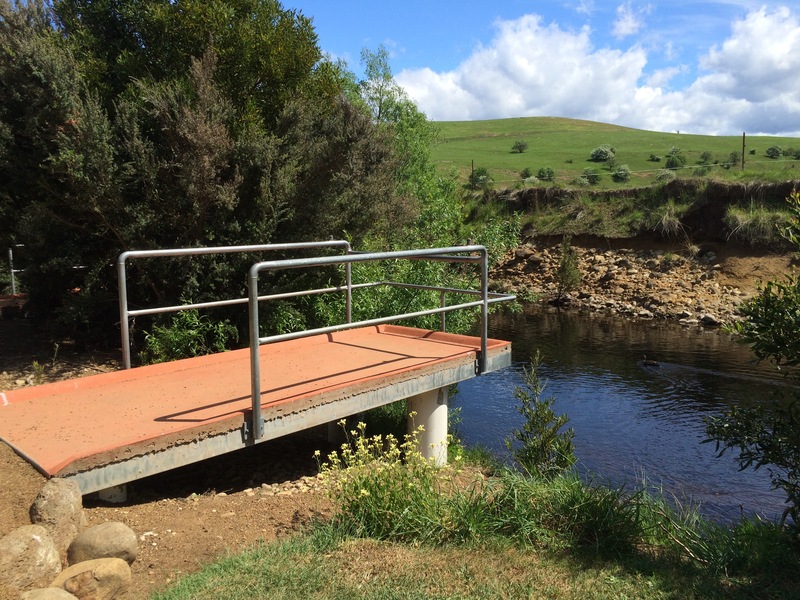 They grounds are all accessible to wheelchairs and it was interesting to see ramps for disabled fishermen. 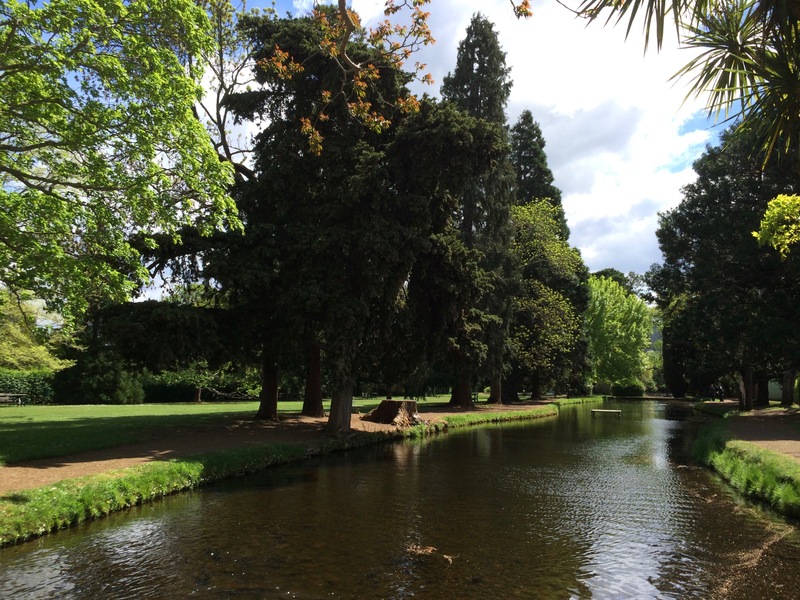 There are various ponds, each stocked with a different variety of salmon or trout. 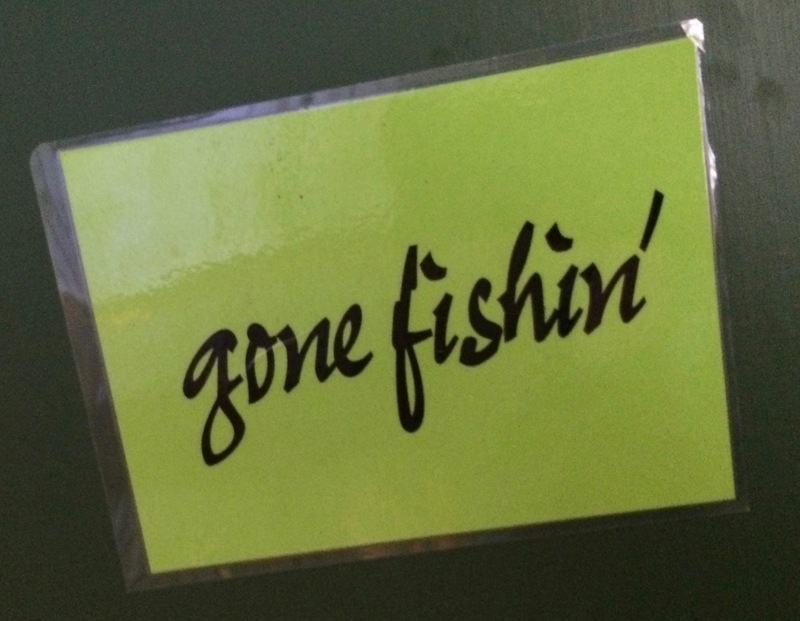 Visitors are encouraged to buy food and to feed the fish. This was a lot of fun. There was a lot of splashing going on, with some fish jumping out of the water. Atlantic Salmon, Brown Trout, Tiger Trout and Rainbow Trout were difficult to photograph. 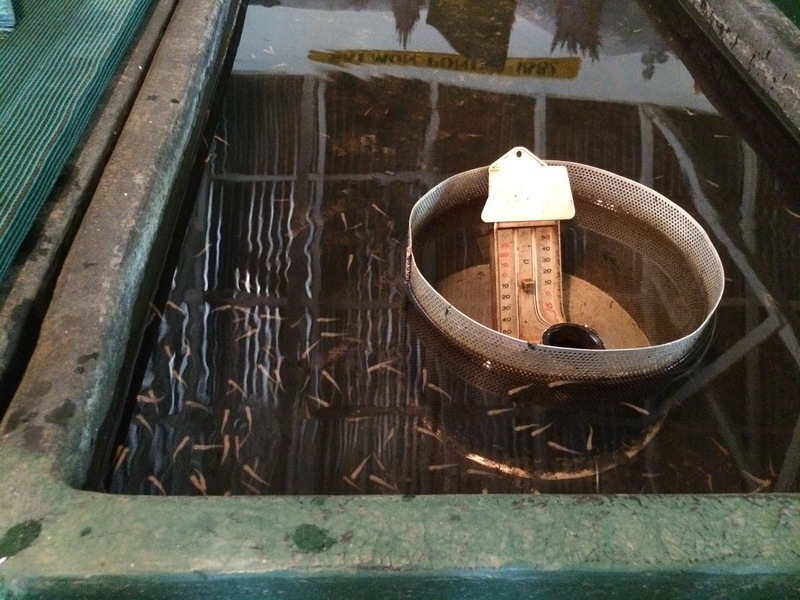 Whereas the Albino Rainbow Trout were easily visible in the water. 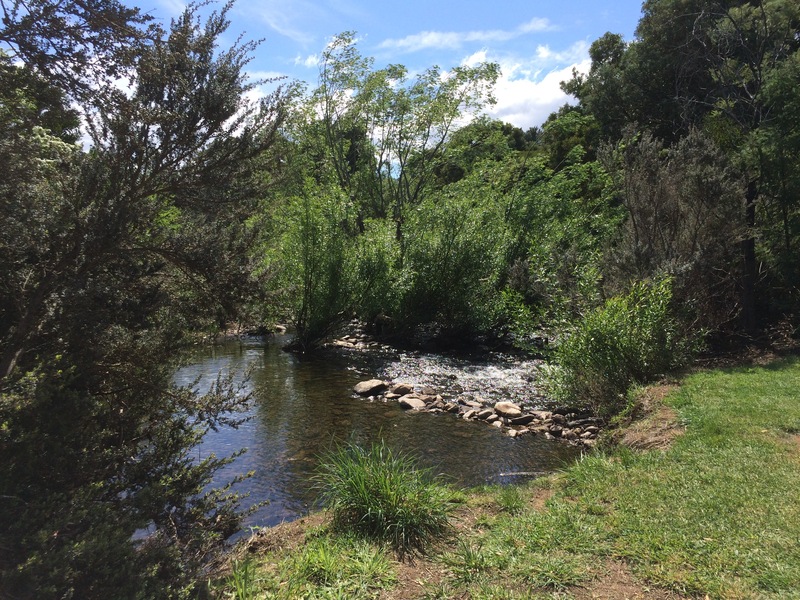 Although it is called “Salmon Ponds” and salmon were released into the rivers from here, these migratory fish never returned. 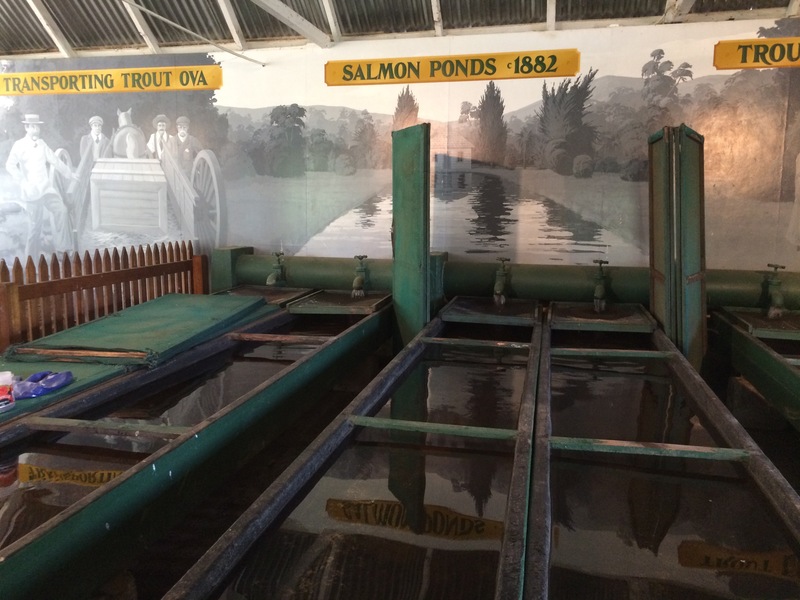 Trout became the success story and over the years ova from here were used to establish hatcheries throughout Australia and New Zealand. 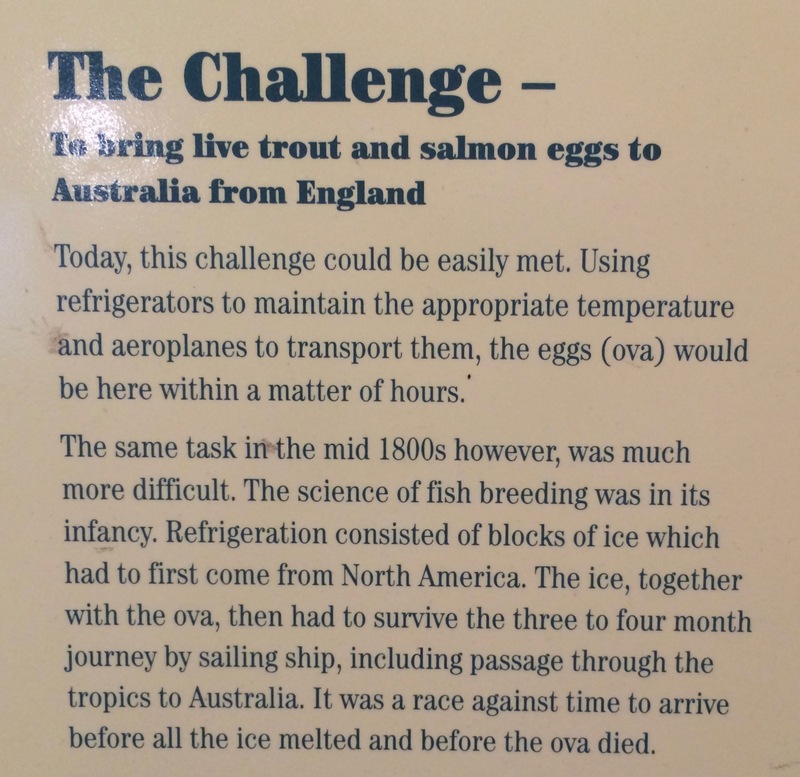 The Victorian challenge to bring the fish reminded me of the movie “Salmon Fishing in the Yemen”. This is my contribution to Jo’s Weekly Walk. Click on the link to enjoy a variety of walks from around the world. Haven’t been there for many years, took the girls when they were younger. It is a nice place on a sunny day – and the pancake shop is great too. That’s lovely. 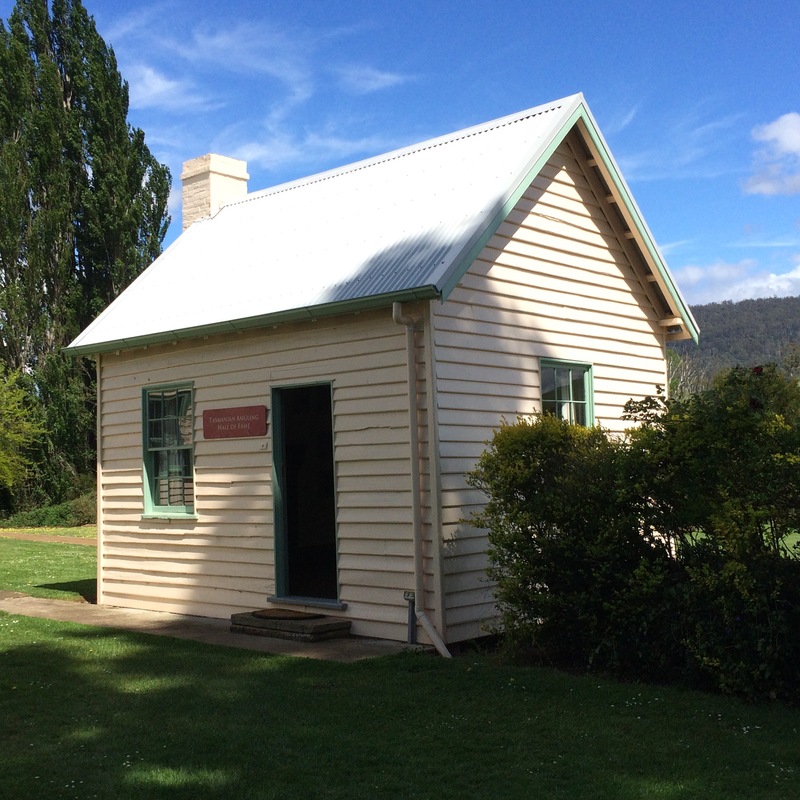 I’m wanting to visit Tasmania again soon, reading about all these places and looking at your beautiful photos. Tas is certainly a lovely part of the country. Glad I’m inspiring you to visit. How interesting and what a lovely garden, I could do with that information sheet identifying trees and leaves! 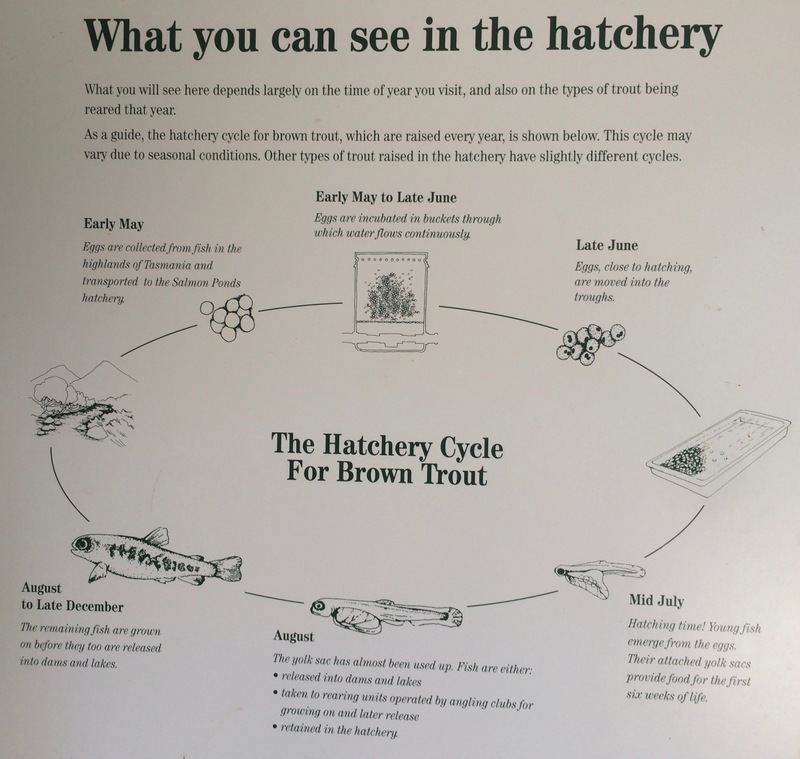 I have only ever once visited a salmon hatchery (in Canada) and found it quite disappointing. This was such fun – like “feeding ducks for adults”. The info sheet was very useful. I have bought one for the Aus native trees as I’m struggling to identify them. The trouble with tree leaves is that some of them are very similar. You need the trunk, the fruit/nuts/seeds to really nail it.